We bring forth for our clients Computer Labels, which are offered in various designs, color combinations, and sizes. To ensure color stability and protection against moisture & chemicals, we manufacture these labels using new techniques and high grade raw material. To meet the precise demands of clients, we manufacture and supply a wide range of Heat Activated Labels. 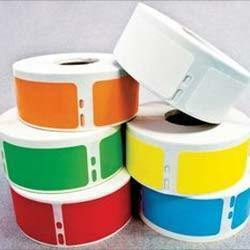 Owing to its heat activated features, these labels don’t require any extra transfer ribbon. The heat activated layer of these labels easily forms the black print image when the heat is applied on the label. Our labels are available in various standard sizes and color combinations as per the exact requirements of clients. 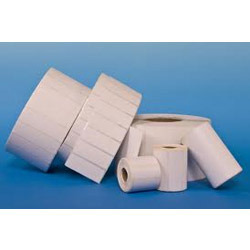 We hold expertise in manufacturing and supplying a wide range of Direct Thermal Label. Creatively designed and developed our labels are made from premium quality raw materials sourced to ensure durability. With the availability in various attractive color combinations, sizes, shapes and other specifications, these labels are available at cost effective rates. Easy to apply our labels are available in market at reasonable rates. With expert teams and good craftsmanship, we try to put our best efforts to obtain the most suitable Laser Printer Label to offer to valued customers. 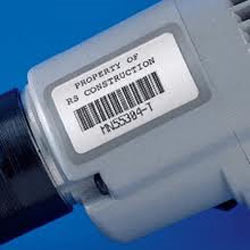 Our Laser labels are manufactured with premium grade raw materials to enhance maximum potential of the labels in desired manner. Looking for Computer Label ?